With Cuba and the United States in discussions to reestablish diplomatic relations, American cigar lovers may soon have the opportunity to travel to Cuba and legally bring back Cuban cigars. Many of these cigar lovers will run the risk of being taken advantage of and being sold cigars of poor quality of things that are not even cigars at all. With that in mind, I thought I would put together a short Cuban cigar buying guide for my American cousins. The first and most important rule is that if someone is selling Montecristos or Cohibas on the street, or anywhere other than an official, government owned store, they are fake. Fake can mean that they are not really authentic Montecristos or Cohibas, but some low quality, cheap cigars with a fake label. Fake can even mean that what you are buying is not cigars at all but are actually dried up leaves of some other plant like banana leaves. The reason why Montecristos and Cohibas are most likely to be fake is that they are the most recognizable to the casual cigar smoker. It would make no sense to counterfeit a cigar that most tourists have never heard of. During your visit to Cuba, some hotel staff member or store worker will tell you that they have a relative who works at a cigar factory and can hook you up with some cheap authentic cigars. All of these people are lying. Everyone who sells fake cigars uses some variation of the same story, so do not be swayed no matter how earnest or trustworthy the person appears to be. Even if you are able to buy authentic cigars off the street, the lack of proper storage may have lead them to be infected with cigar beetles. These are extremely common and you may find that your new collection of Cuban cigars suddenly are filled with holes. Then the other cigars in your humidor are filled with holes. And then you have to throw away your entire cigar collection. If you can afford to go on a vacation to Cuba, you should be able to afford a second, small humidor so that you can quarantine cigars you buy on vacation for several months to ensure they are clean before putting them with the rest of your collection. My suggestion would be to buy a bunch of different cigars in the official stores while you are there and then buy a box of the one you like best. If you are buying them for someone else who wants one of the iconic Cuban cigars, you could buy Montecristos or H. Uppmanns. Don’t buy Cohibas for anyone other than yourself; they taste fantastic but they are too expensive. Nobody with any sense will ever complain about being given some genuine Uppmanns or Montecristos. One the other end of the spectrum, do not buy Guantanameras unless you are only buying them for some in-law you don’t really like or someone who usually smokes cigars that have wine flavoured plastic tips. If you really want to impress a friend while keeping on a budget then you should pick up a box of Fonsecas. Fonseca is a mild cigar that comes in an impressive looking wrapper but are relatively inexpensive. They are also mild cigars, which are the best choice for an occasional cigar smokers. Most casual smokers would likely enjoy them much more than the stronger tasting Cohibas. Does Anyone Buy Bone China Anymore? When I was a child, it seemed everyone my mother’s age and older had a set of bone china plates and cups to be used on special occasions. Now that I am that same age that my mother was when I was a kid I can’t help but notice that I haven’t seen a single person my age with a set of china. I feel that is a sign of social progress. If there is one thing I know about plates and cups is that they get chipped and break all the time. It must be a horrible feeling to invest in a set of expensive tea cups and watch a clumsy dinner party guest knock one off the table and smash on the floor. People who owned such expensive sets must have found dinner parties unspeakably stressful. People my age drink a lot, but they don’t drink anywhere near as much as my parents’ generation. The problem with bone china sets is that they are often used for tea, coffee, and deserts, which are typically served when dinner party guests are at their drunkest. If you are going to invest in bone china, you should only buy salad plates and soup bowls. When you factor in that people from the baby boomer and older generations were much more prone to waving their hands when speaking, there must have been a shocking number of beautiful cups and plates destroyed over the years. It makes absolutely no sense to invest in something so delicate that is so frequently handed over to drunk house guests. 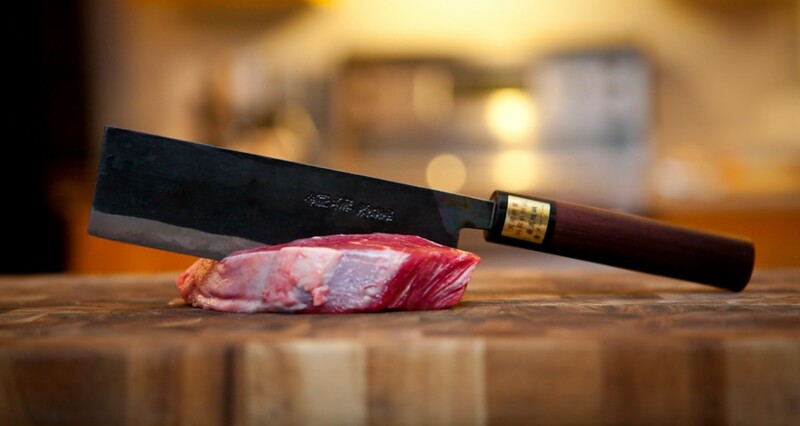 If you want to invest your money in something nice for your dining room, why not spend your money on high end knives? They are far more practical and if a drunk dinner party guest who happens to hit one while talking with his hands he will do far more damage to himself than he will to the knife. Most people these days are accustomed to drinking their tea and coffee out of a Tim Horton’s cup, so anything that has a handle and doesn’t rot or melt now looks sophisticated. Who among us has a social group that could be trusted with something that would smash into a hundred pieces if dropped on the floor? If you want to invest in something nice for your kitchen, invest in steel knives or cast iron cookware.